$2 million for CS & STEM education for aspiring women and student technologists – All Markup News. Home » Google » $2 million for CS & STEM education for aspiring women and student technologists – All Markup News. In 1993, I moved from India to the United States to enroll as an undergraduate student at the University of Colorado Boulder. The transition to the U.S. was overwhelming. I wasn’t prepared for the culture shock of being both a first-generation college student and one of very few women in my computer science department. I also wasn’t totally confident that a career in computer science was right for me—I didn’t have access to a computer until my late teens and didn’t have much of an interest in computers overall. It was my father who had suggested I pursue a degree in CS. Luckily, I quickly established a great bench of mentors at CU Boulder who helped me find my footing. Professor Bobby Schnabel, the department chair at the time, helped me secure a spot in the engineering dorm even though I missed the application deadline. Later, Professor Mike Schwartz changed the course of my life when he invited me to be a summer research assistant on a government funded project. After learning of my plans to move back to India for an arranged marriage after graduation, he shared the story of Arati Prabhakar, an Indian woman who was the first woman to head the National Institute of Standards and Technology (NIST). 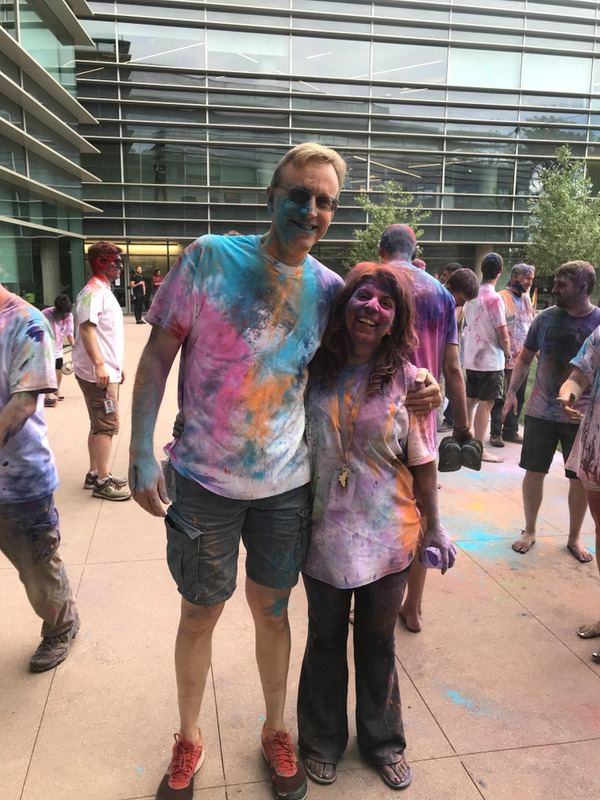 I decided to stay in Denver and get a job as a software programmer—and 24 years later, I’m a director at Google, leading a team of engineers who work on Google Payments in Boulder, CO. I was fortunate to have a tremendous support system to guide me and advocate for me during college and the years that followed. But that’s not often the case for other women and minorities looking to break into tech. That’s why I’m so excited to share that today Google is making more than $2 million worth of investments aimed at increasing access to CS & STEM education for aspiring women technologists across the country and students around the globe, starting here in Boulder. First, Google.org is providing a $1.5 million grant to fund the expansion of the Physics Education Technology (PhET) Interactive Simulations project at CU Boulder as part of Google.org’s $50 million global commitment to help close the education gap in developing countries. PhET is a pioneer in digital STEM education—their interactive science and math simulations have been translated into 90 languages and are used more than 80 million times a year by students around the world. This funding will help PhET redesign their top simulations to make them easier to use on the low-cost phones and tablets for aspiring technologists in countries like Mexico, India, Brazil, and South Africa. Students in these regions need training and inspiration to spark their curiosity and a passion for working in tech. By helping to grow PhET’s reach, we hope to provide that. 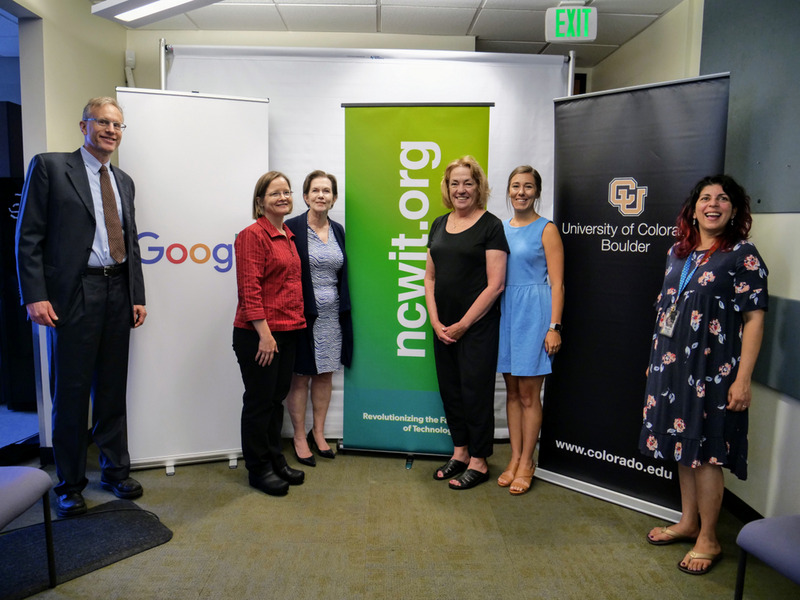 Second, Google is providing our 26th Street Boulder office space to the National Center for Women & Information Technology (NCWIT) to establish their new national headquarters. Originally founded on CU Boulder’s campus, NCWIT is a community of more than 1,100 universities, companies, nonprofits, and government organizations working to increase girls’ and women’s meaningful participation in computing. As part of NCWIT’s move, Google is fully funding the lease for the office space, which will amount to a $1.3 million investment after the full-term lease agreement. Our hope is that this will help eliminate some of NCWIT’s financial costs, allowing them to continue to grow and have a positive impact on young girls and women across the country. Google has long-standing relationships with CU Boulder and NCWIT. We actively recruit from CU Boulder and a number of our employees are graduates of the university. More recently, CU Boulder students took part in the very first pilot of Google’s Machine Learning Crash Course and provided valuable feedback that helped shape the content into the version that was just released publicly. Additionally, since 2013, we’ve provided more than $4 million in funding to NCWIT to support efforts like the Extension Services for Undergraduate Programs and EngageCSEDU. Today’s announcement is another step we’re taking to work with these organizations to increase access and representation in tech. When I think back to my time at CU Boulder, I’m filled with immense pride. I left campus feeling inspired and fulfilled. I see my own journey reflected in the communities these organizations are working to serve, and hope that other student are able to discover their passion, build genuine and lasting relationships with people who have their best interest at heart and find a home in tech the way that I did!